WILDWOOD — After six months of being closed for the winter off-season, the Wildwood Historical Society will reopen April 4. The historical society’s George Boyer Museum, located at 3907 Pacific Avenue, will be open on Thursdays, Fridays and Saturdays from 9 a.m. to 2 p.m. until Memorial Day, when the hours will extend to every day of the week from 9 a.m. to 2 p.m. The only exceptions are Sundays, when the museum will be closed. Volunteers have spent the winter updating the ever-growing collection with memorabilia donated by visitors. The historical society had their busiest season on record last year thanks to plenty of rainy days, but they hope to have an even busier season this year. “Whether the weather is sunny or rainy this summer, we hope our supporters will continue to return to the museum to reminisce, and to show their children and grandchildren how historic Wildwood is,” said historical society President Al Brannen. 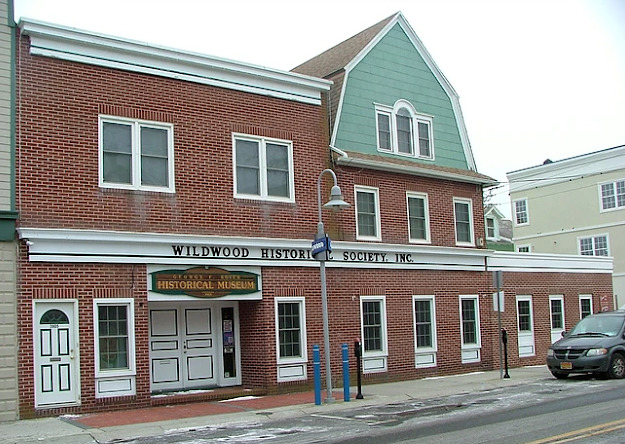 The Wildwood Historical Society is a nonprofit that is independent of the City of Wildwood. For more information, visit their website at wildwoodhistoricalmuseum.com or follow them on social media at facebook.com/wwhistoricalsociety, Instagram.com/wildwoodhistoricalsociety, or twitter.com/wwhistoricalsoc.